Pablo Neruda always have had exquisite choice of words, this poem probably one of my favorites from him that have helped me cope up with break-ups. forget pain, resentment and judgement. remember the joys of loving someone and being loved. Yesterday, I relinquished my crown, my journey ended as Miss SCUBA Philippines 2013. I got to meet and find out which lucky woman will be flying to Kota Kinabalu, Malaysia this November to represent our country. I would like to share the moment I had last night as I said goodbye. For those who weren’t able to witness it, here is the farewell speech that I wrote on a whim. For as long as I can remember, I always had a love for the ocean but I was not born with a silver spoon in my mouth. It was in Facebook where I first heard of Miss SCUBA and without second thoughts, I went to the screening alone with the dream of having the chance to get a diving license. I did not win Miss SCUBA Philippines 2012 instead I won as a runner-up, Miss SCUBA Philippines Marine Tourism 2012. Losing however did not stop me from what I wanted, I was lucky enough to have met the international organizer, Mr. Robert Lo and before 2012 ended, I was appointed to represent the country for Miss SCUBA International 2013. At first, I hesitated, thinking that it was unfair for the rest who would want to represent the country but I eventually knew it was the opportunity that I have been waiting for. 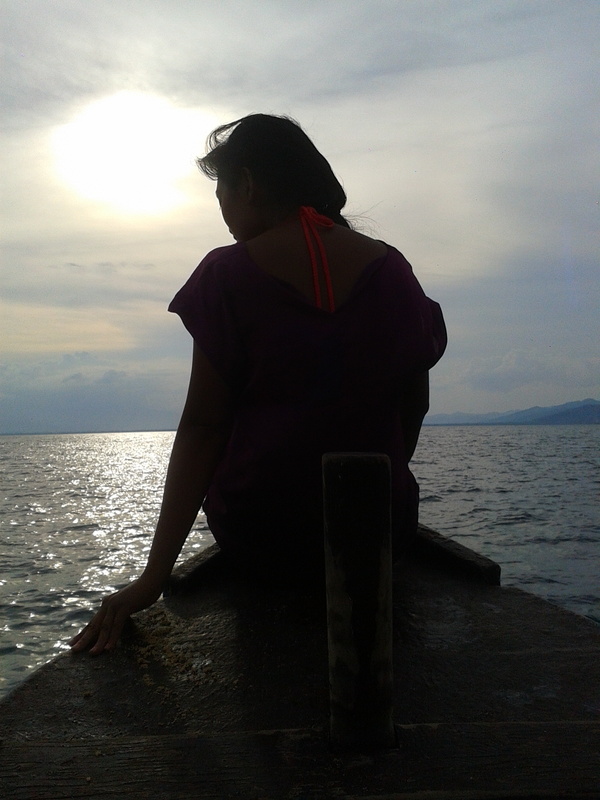 Just like a ship on a grand journey, I went against several waves to be Miss SCUBA Philippines 2013. I had to sacrifice time and put effort to find sponsors and supporters. On December 8, 2013, I left Manila to with an almost empty wallet, a luggage bag filled with secondhand and borrowed clothes and my dive equipment. I knew that my life will never be the same once I board the plane. I was worrying about how my stay would be and what would become of me after. I left my country and only a handful of people knew what I was about to do. First time seeing reef sharks and sea turtles! With little support, I felt like an unarmed dwarf forging a battle against giants. The next day while I was patiently waiting for another flight, yellow lights started creeping in, slowly taking over the gray covered clouds hovering and just right out of the glass window of the airport, Mt. Kinabalu greeted me with her grandiosity. It reminded me to think big, that very sight gave me courage and made ready me for the start of competition. I opened my heart and my mind and got rid of my fear. Each day was filled with laughter shared not only among candidates but with everyone involved with the pageant. The whole competition seemed like a long vacation. Fast-forward and I found myself standing together with four other finalist where I was the only one with no special award and in that split second, my name was called. It was a surreal unexpected moment of triumph when they called me as Miss SCUBA International First Runner-up. 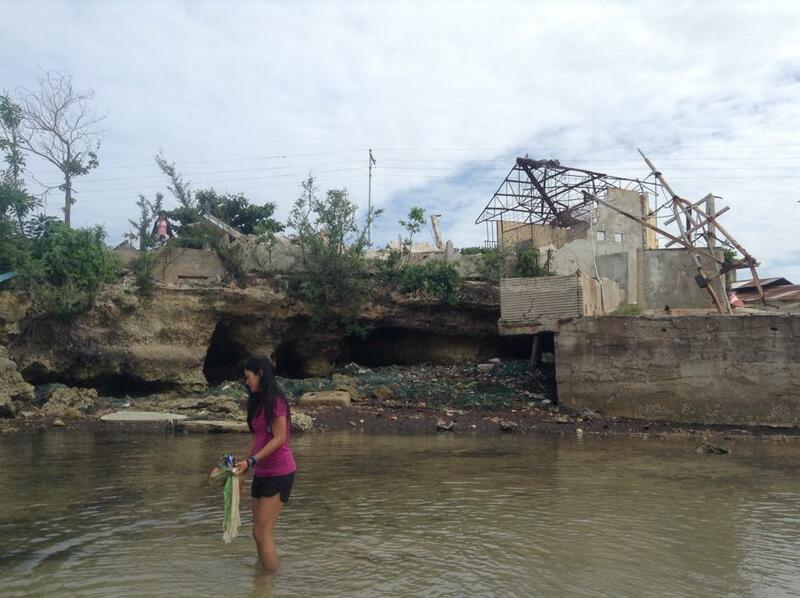 Since then I was able to help communities and contribute in protecting the marine environment. To my mother Noemi and sister Carrie for the unfailing love, to Sir George for helping me with my diving license, to Aquamundo for providing my dive gears and to Edwin Uy for letting me don his creations for the MSI competition, to my Miss SCUBA International Family, SERALHCO, SAV Hospitality and to everyone who was with me during this journey, I am forever grateful. I am walking in front of you now as a proof that failure is a natural part of success, road blocks are meant to test you and passion always gets you through. To the next Miss SCUBA Philippines, the dream is yours for the taking, be brave. I was sad and happy that night because I knew a new door of opportunities will be coming. I will be part of the Miss SCUBA International 2014 at Kota Kinabalu, Malaysia as a guest and a co-host. I am also looking forward to new projects with them in the future. Cliche as it may sound but every ending is just the beginning of something else. Everyday, more than a thousand Filipinos and foreigners flock to the sea for pleasure, work and food. The Philippines is one of the countries blessed with massive stretch of coastline. In fact, it has one of the longest coastlines in the world—estimated at 36,289 kilometers. The coastline extends 2,000 kilometers from north to south, with 25 major cities lying on the coast. The ocean provides us with the basic elements of life—it produces half of the oxygen in the air we breathe, and it is an essential part of the water cycle, helping to provide the water we drink. It is an important vein bringing life to our planet and yet each day we keep on destroying it. To be passive about this ongoing problem is like slowly committing suicide. 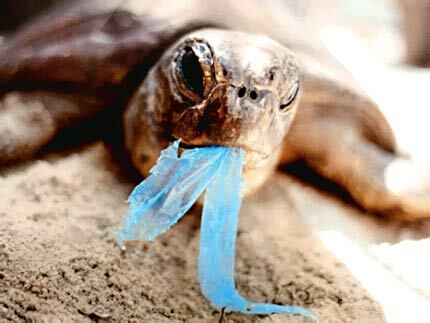 With every trash we throw into our ocean, we our taking in poison. Over the last 25 years, Ocean Conservancy has been bringing together passionate ocean lovers and helping them contribute to a vision for trash free seas. International Coastal Cleanup is the largest volunteer effort for ocean’s health. Held annually every third Saturday of September, people around the world gather on beaches, coasts, rivers, waterways and underwater dive sites to remove trash and record information on the debris collected. Results will aid in better waste management policies/plans, product packaging designs and in stirring environmental consciousness among the people. 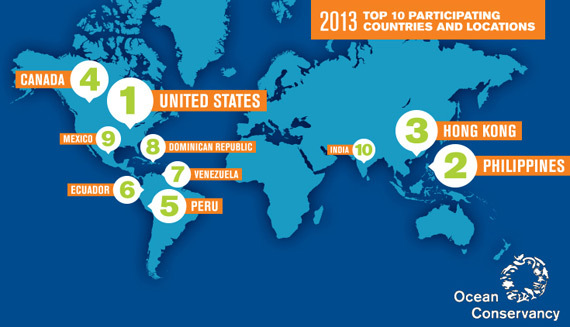 The Philippines is the second largest participating country in the world with 182, 408 volunteers for the ICC 2013. Last year, volunteers collected 794,181.9 kilograms of trash and debris in 150,544 bags within 445.73 kilometers of beaches/shorelines, waterways and underwater areas. For two straight years, I have volunteer for Shore It Up Zambales. You can even see me (or my back the least) in their video! Here is what has been happening for the past 2 years. Cleanups alone can’t solve this pollution problem. The ocean is an vital part to our life. We should fight to save it. There is after all no planet B. 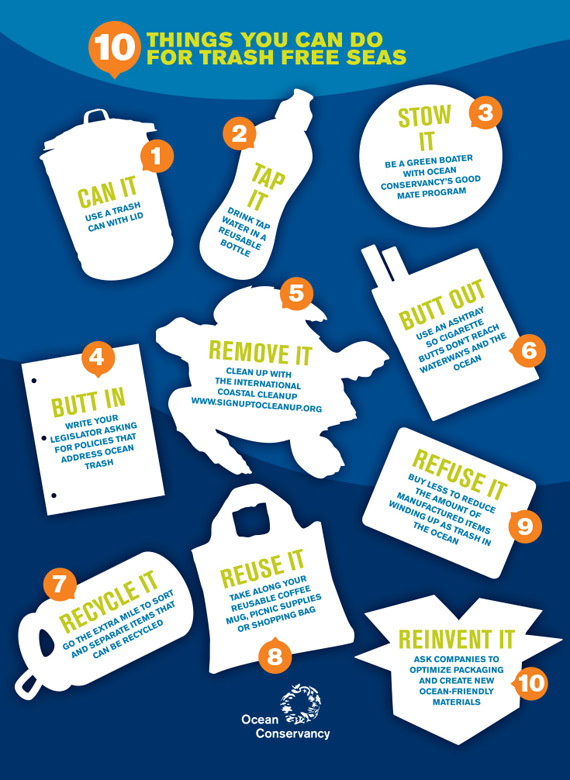 The ocean needs your help to keep millions of pounds of trash away from it – your everyday choices can help keep it clean. here’s a free verse poem i made last Feb 28,2008..
A year older yet I don’t feel like I’ve done a lot in my life. What’s ahead for me is still vague. What lies beyond, I can’t foretell. I don’t know if I can go on. when the one I love do not care about me. I loved him with no conditions but he chose live without me. I would not know now if he’s miserable like me or happy and free from me. Am I that worthless for you not to spare even a second of your time? You’re cold and hurtful yet, to my agony you’re the only cure. When you have left me here with nothing at all. Life is already complicated, having someone to share it with should make it simpler and lighter. Vincent Van Gogh, Alexander Mcqueen and now Robin Williams is on the list of people who committed suicide. When I hear this 7 letter word it always brings me back to March 10, 1995. 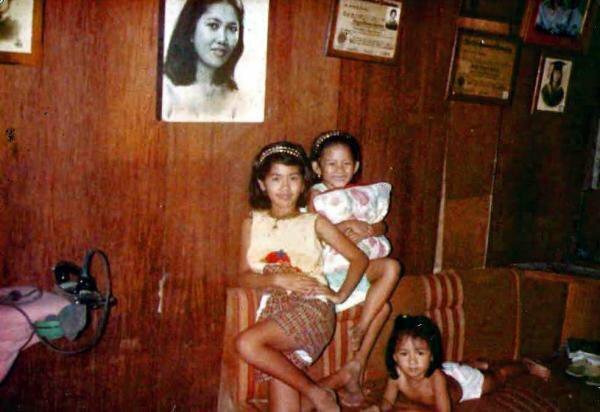 My sister was 6 years old and I was 8 years old, we came home that Friday with a terrible sight. I opened our bedroom and found our 12-year-old sister hanging lifeless. Naive and clueless, I remember holding her legs and telling her to wake up, but she never did. At that time, I had so many questions. The media from my hometown haunted my mother. No one could clearly say why a girl would kill herself. I had times where I blamed myself for it. I remember the night before she committed suicide, she was quite disturbed. She broke my pencil and I told my mother about it. I thought I was the reason. I never understood what pushed her to do such a thing. One day, during her wake, I had a dream of her. I looking at her while she was facing a full body mirror. She saw a lot of things, maybe it were her personal monsters. I woke up trying to figure out why I had this dream. Days after, my mother showed us her suicide letter. I can barely recall everything except for one point. In her letter, she spoke of being afraid of putting our family into shame. She was a young leader, a state scholar and well-loved, to me she exuded perfection. Every now and then my parents argued, pointing fingers at each other on who was to blame. I could not blame any of them. I knew very well they loved my sister so much. I saw their agony at her funeral. Years passed and we eventually learned to live without her. It was one of the biggest loss our family gone through. We endured poverty and flood but nothing like this. Saying goodbye to someone who shares your blood is never easy and what made it worst was none of us knew what she was going through. She stayed in a dormitory because she was a scholar at a state university far from my hometown. She only went home for the weekends. I always saw her happy and trying to make other smile. My sister’s death helped me when times got tough for me. I had to deal with a lot of things during college. I have fallen in and out of depression. There were times when I felt everything was overbearing, that I could not go on. I had suicidal ideations and would stay in my room for days without food. Every time I am succumbing to the hardship that life deals me, I replay the sight the day she died, my parents, my sister, my relatives and everyone who loved her in anguish. After studying about psychiatry in Nursing, I began to understand depression. None of us is ever immune to it. Life is never easy and you need a lot of strength and a change in perspective to get through it. I never understood why until I found Viktor Frankl’s Man’s Search for Meaning from the old books I did not take seriously when I was in college. This book opened my eyes to a lot of realization on how we are during suffering and one quote that is in my mind is: “Those who have a ‘why’ to live, can bear with almost any ‘how’. When people go through depression or a lot of stress, they fall in a bottomless pit where they see no more meaning in their life. Sometimes, I still wonder, if I could have stopped her and yet I know even if I found the answer to this, I can never bring her back. I am lucky enough to have a strong spirit to deal with life. Her death gave me another reason for living, to help those who are at the brink of hopelessness. He woke me up from a monotonous slumber. I haven’t really taken much risk to do something that would make me happy. I was too concerned about the past and future that I kept on forgetting to live in the now. He made me see what I wanted in a relationship the long meaningful walks and having someone easy to talk to. and someone who encourages you to live in the happy side of life. He maybe far but in my heart he will always be near.